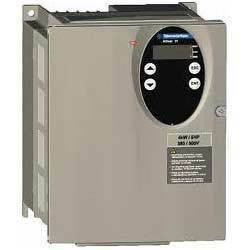 We are offering AC drives(VFD), delta AC drives (VFD ), Mitsubishi and control for various application. We Preffer buyers from Telanaga & A.P States only. For many years, we have been serving our customers with a range of efficient products and services, such as Automation Training, Control Panel, SCADA Operating Systems, Programmable Logic Controller, Converters and various other products. Further, we also provide our specialized services for automation of industrial projects, design and supply of electrical and automation systems with variable drives, PLC systems, HMI, etc. The products offered by us have been sourced from reputed vendors, who use the latest technologies and premium quality products in their production process. The various products offered by us are known for their efficiency and durability, which makes them perfect to be use in a number of demanding and rugged applications in production of engineering goods, cement, steel, chemicals, pharmaceuticals, paper and rubber. We work on customer oriented and technologically driven principles. This has helped us in establishing a strong customer base all across the globe with esteemed organizations, such as Advanced Machine Tools, Vijai Electrical Ltd., Laser Shaving Products Ltd., Hartex Rubber Ltd., Oil Country Tubular Ltd and ITC Bolaram. We offer good quality Programmable Logical Controllers, Siemens S7300 PLC, Siemens PLC and Drive Panels, PLC Systems, Motion Control Drives, Siemens S7400 PLC, Siemens S7200 PLC, AC Drives, HMI Panels, SCADA Operating Systems, Control Panels & Automation Training. We Prefer buyers from Telanaga & A.P States only.